We are still in need of the best hairstyle for this winter and if you too are looking for new inspirational look, you can check out this collection of 7 new hairstyles for winter 2015. This list presents top 7 images spotted on the fashion shows and red carpet and they definitely will be included in 2015 trends. 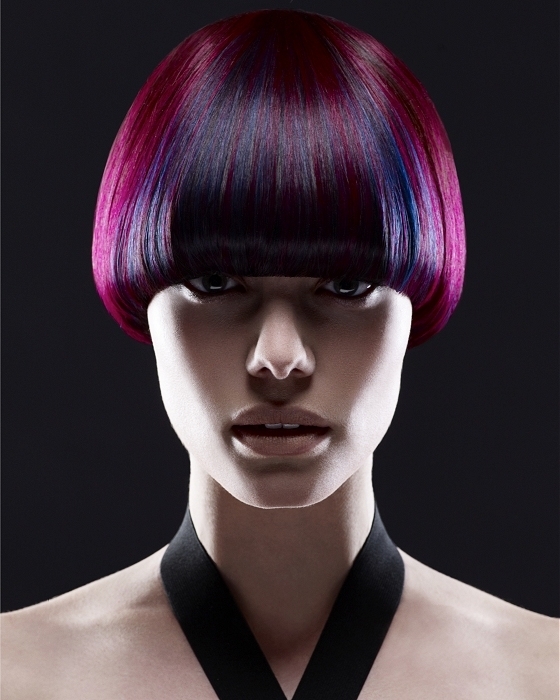 It is not surprise that bob hairstyle is at the top of popularity. For 2015 winter you can get long blunt bob with center parting. Blunt bob is the choice of beauty bunnies and you too can become one of them. Undercut hairstyle is the choice of strong and independent women who are not afraid of impressive images. Undercut hairstyle with short cut or shaved hair looks fantastic when completed with vibrant and contrastive color combo. 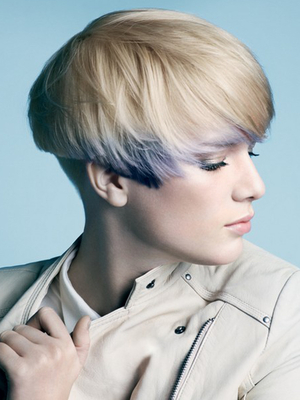 The list of hairstyles 2015 is here to inspire you. We are ready to kiss goodbye to this year and meet new year full of brand new designs in fashion industry and hair trends yet we still have time to through a quick glance to hairstyles 2015 and find out which were the hottest designs and which are going to be trendy next season. The hottest hairstyles 2015 were surely short and medium short haircuts like pixie, short bob and asymmetric bob haircuts that were so often seen on the red carpet. More elegant styles were classy bob and long bob hairstyles completed with layers and bang. Both elegant and bold designs were popular this season and next season two you will be totally free to choose whatever you want. Asymmetry is key detail to have modern and stylish look. Just like previous season, this season too asymmetry was very popular and numerous designs were completed with asymmetric layers. I am sure that next season too asymmetry will dominate. You can choose asymmetric bob or half shaved design with longer layers on one side and almost shaved or short crop cut hair on the other. Medium hairstyle is the best choice nowadays and it is amazing in any aspect. The length is perfect to style it easily. The versatility of haircuts and styling options will not make you get bored and you will have so much fun when styling medium length hair. Besides of those qualities medium haircut has another great option; it is considered the best choice for round face shape. Unique face framing quality of medium haircut makes face look slimmer and more feminine without going for harmful diet. Did you like the idea of having show-stopping look? Here is a selection of medium hairstyles for round face shapes and some styling ideas for your consideration. Round face shape can be defined easily. The width and length of face is almost identical. Right chosen haircut can totally change image and make wide cheeks look less round. 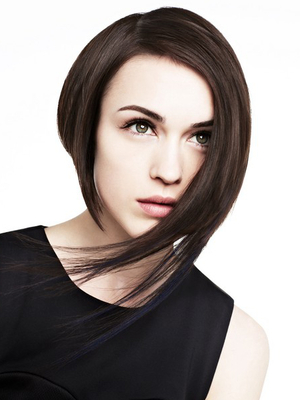 You just need to keep in mind some basic rules that are necessary when choosing suitable haircut for round face shape. Bob hairstyle has become so popular that it has already got its history of style evolution from 20’s till now. Looking through this gallery of retro bob hairstyles I can say that it has changed a lot still it remains the best option to have stylish and modern look. The combination of all functional features as well as unique quality to match all face shapes and hair textures has turned bob haircut into a real lifesaver for women. Bob hairstyles trends 2015 include so many amazing and beautiful bob haircuts suitable for any taste. Most designs are completed with layers and bang that make haircut even more fashionable and stylish. Let’s consider some best designs from this collection. Tired of boring and casual hairstyle? It means you haven’t tried layering. Of course you have heard of layering but you never had courage to chop off even an inch of your tresses. I understand that it’s pretty hard but women sometimes forget that dull and lifeless hair is boring and wearing them can do a bad thing for your image. You can stay away from dramatic changes yet regular touch ups is must. The reason why I like layered hairstyles is that they are really functional. I mean you can wear long blunt cut hair that will surely look beautiful but layered long hair will arm you up numerous styling options. isn’t it great to become real professional and change your image on any occasion. The versatility of 2015 hairstyles is simply amazing; the collection includes so many dramatic and bold hairstyles as well as classy designs that have been upgraded with modern twists and details. There are many ways to update casual hairstyle but the best one is surely layering. This trick is so often used by hairdressers and it still continues to the best hair cutting technique that can provide you with so many advantages and styling options. Let me tell you a few words about layering and its advantages and then go on with 2015 trendy layered hairstyles. Layering is perfect trick to boost the volume of thin fine hair. Such trick will be suitable for mature women who have the problem of hair thinning. Thanks to great versatility of layering styles you can easily find the most suitable one for you. For thin hair soft and graduated layers will be great. 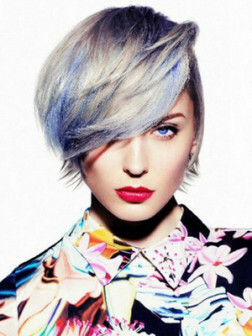 Just like layering is perfect for thin hair, it can make look heavy and thick hair look better. It this case the style of layering can be choppy or heavy layers. This trick will break the bulky texture and add movement ot tresses. Women will never stop searching for perfection and it concerns to any aspect. As we are talking about women’s hairstyles and easy options to look perfect let’s forget about other aspects and concentrate on hairstyles. Hairstyle is unique expression of personality and in order to have flawless look it should be perfectly suitable for hair type, face shape, personality and of course lifestyle. Women who are blessed with thick and healthy hair can do nothing but enjoy all the benefits of thick hair. Still not everyone is lucky that’s why I decided to talk about thin hair and haircuts suitable for it. Nowadays there are zillion hair styling tools, products and hair care formulas that can provide you with voluminous hairstyle but first you should choose proper haircut that will help you to deal with thin hair easily. The most popular trick for thin hair is of course layering but it won’t have desired result if you don’t have suitable haircut so let’t start from the beginning.